For experienced AOWD divers or higher certified, we also offer a short daytrip with 2 dives one to Sea Chart 1 and the other one to the wreck of Premchai. 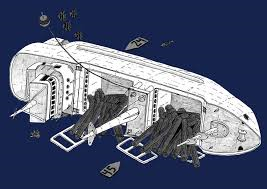 The first dive is on the cargo ship Sea Chart 1, which sunk in 2009. 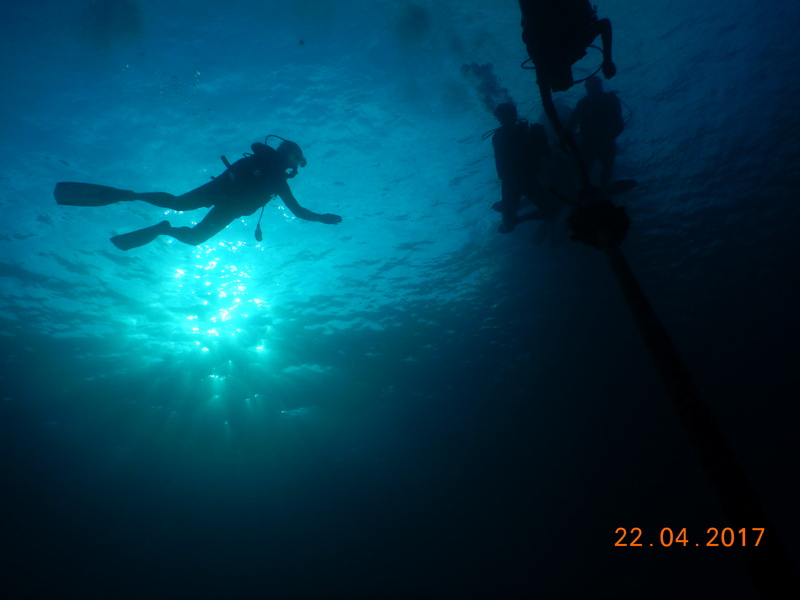 This dive site is only suitable for experienced divers as well as for deep diving courses and it is best to dive with Nitrox. 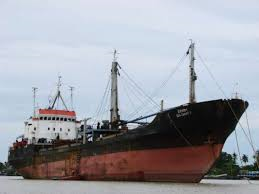 The cargo ship, 84 meters long and 12 meters wide, coming from Burma, across the Indian Ocean through the Strait of Malacca with destination Vietnam, sank in a storm not far off Thailand’s coast. Several leaks in the hull allowed water to enter the engine room. All crew members were quickly picked up and rescued by a Royal Thai Navy ship. The wreck of the Sea Chart 1 is, with its load of approximately 1´200 tonnes of teak wood tree trunks, located on the starboard side, to a depth of over 40 meters. The young wreck does not impress by sensational vegetation but rather by the impressive size. Already many fish have moved into the wreck as a new home. There are many lionfishes, a school of big batfishes already on descent, various fancy nudibranchs, schools of big mackerels, barracudas, octopuses, ghost pipefishes, frogfishes and much more. 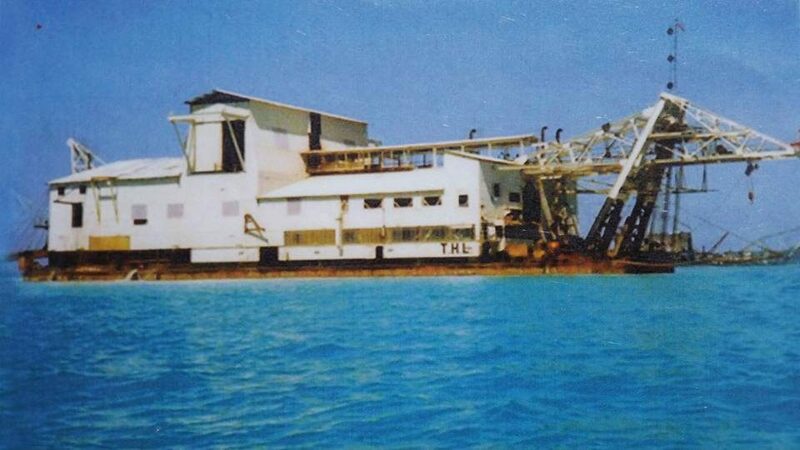 The second dive we will make it on the more than 20 years sunken tin mining boat Premchai, near the coast, where it is more colorful, lively and less deep. In between is enough time for lunch and time to relax. Only a few hundred meters from the southern end of Khao Na Yak, near the port of Thaplamu, lies the Premchai Wreck. This old tin excavator is now a “nursery” for a variety of underwater creatures. 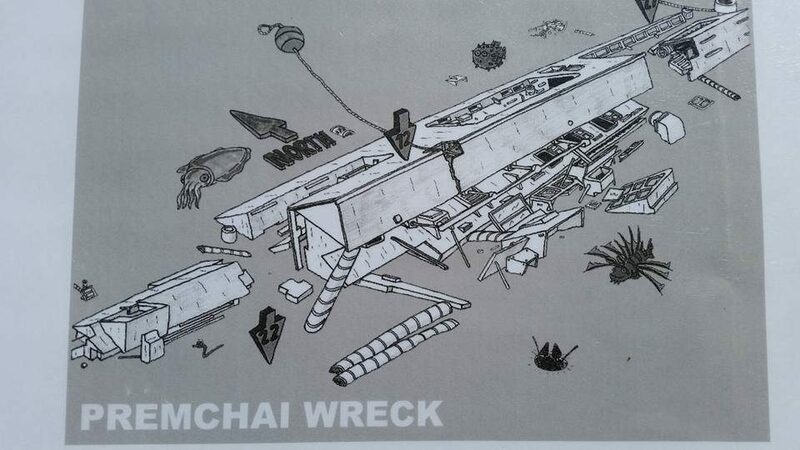 The wreck has not decayed except for a crack in the outer shell. 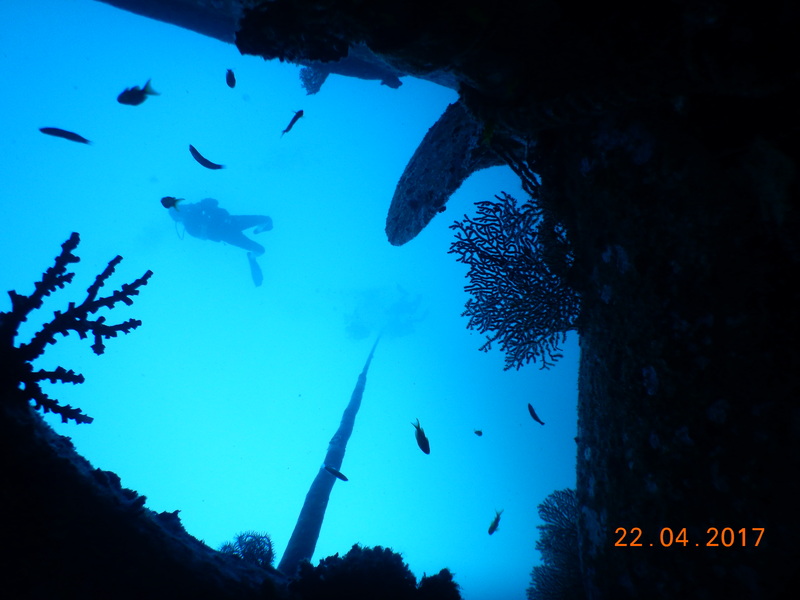 Due to the amount of nets and cables entering the wreck is not allowed. It lies in an average depth of 16 to 20 meters, the upper edge in about 14 meters depth. We use a mooring line for the descent and spend a nice, long dive to explore the wreck and all the little stuff as well as possible. The Premchai wreck is a hiding place for many juvenile fish. It is surrounded by schools of fusiliers, young barracudas and there are lionfishes everywhere. Scorpion fishes are at home on the wreck surface. Different types of boxfish, angelfish, pipefish and nudibranches feel equally at home here. In addition, octopus, cuttlefish, in the sand also flounder and partner gobies are represent. In addition, ghost pipefishes have also been spotted around the wreck. The longtail boat, large and spacious, offers all the necessary comfort and facilities needed for such a day of diving. Shady places, a comfortable entry into the boat on a ladder after diving, a sundeck to enjoy and relax between dives as well as enough space to set up the entire equipment with tanks. The prices include: transfer, 2 dives, tank, lead, lunch, water and divemaster service.